When working with Sheet Sets you can eTransmit the complete package or portions of it. When you select the command, AutoCAD will gather the information needed. Sheets Tab. This tab is available only when a sheet set is open. It displays a hierarchical list of sheets in the current sheet set. When you check a sheet, all dependent files are automatically included in the transmittal package. If you enter -etransmit at the Command prompt, ETRANSMIT displays prompts on the command line. 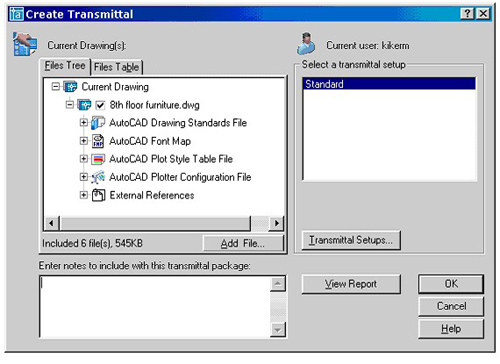 HINT: Use eTransmit to verify the CAD Standards. · Xref files are attached from the proper location. The Options Dialog box allows you to specify that Fields will be updated when you perform an eTransmit. Click on the Field Update Settings button. Etransmitting is easy and fun.